Totally Bamboo 3 Pc Cutting Board Set Only $11.42! You are here: Home / Great Deals / Amazon Deals / Totally Bamboo 3 Pc Cutting Board Set Only $11.42! 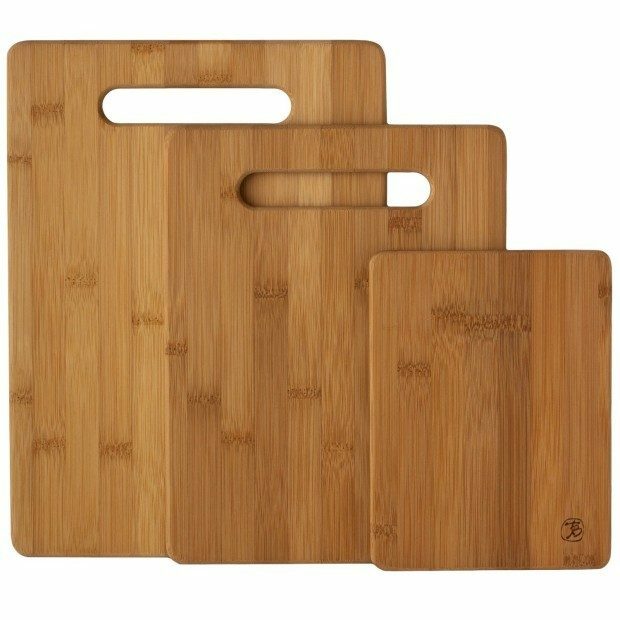 Head over to Amazon and get this Totally Bamboo 3-Piece Cutting Board Set for Only $11.42! Less than $4 for each board! Shipping will be FREE with Amazon Prime or an order of $35 or more.